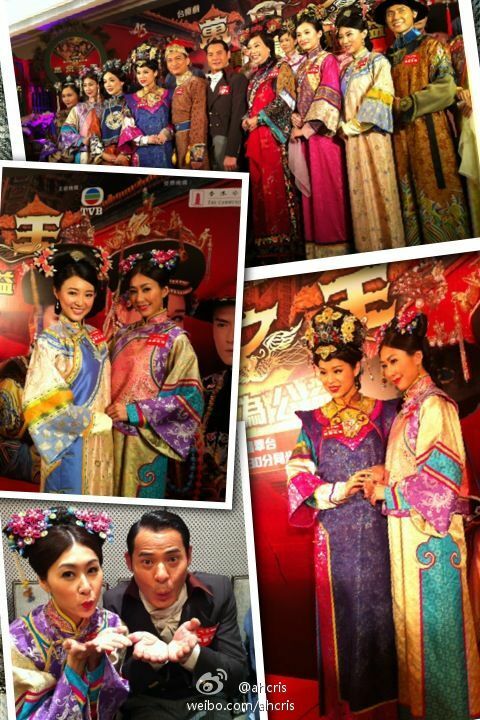 Nancy Wu and Samantha Ko were taping for cooking show "Sweet Corner" yesterday. Praised herself as the best at baking, Nancy disclosed she once baked a heart-shaped cake for boyfriend and expressed she is interested in opening a bakery. 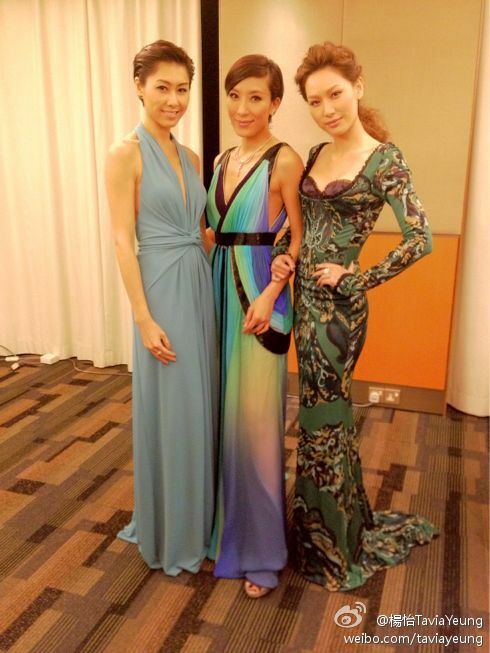 She also said she bakes often with good friend Myolie Wu: "I went to her house to make cup cakes once. I really love the process of making cream. I feel very successful." 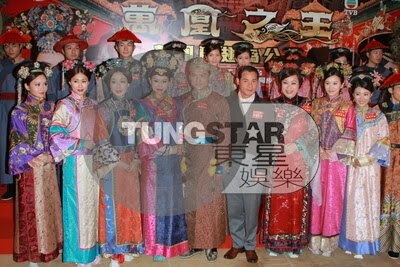 In addition, Nancy's character in "Curse of the Royal Harem" is criticized by netizens as very mean. As for that, she said: "Many of my colleagues called me mean. I feel the same way when I was watching it. But I feel satisfied, because that means I was very into the character." The other night, Kate Tsui, Aimee Chan, Nancy Wu, Ron Ng, Maggie Cheung and Edwin Siu watched the 2 hour finale of Forensic Heroes III together with a large group of fans. Among the three beauties, Kate was the most revealing, but was overshadowed by Maggie's tears. When Maggie saw the part where Aimee Chan was murdered, she teared up and successfully stole the limelight in a different way. Regarding the three beauties competing for sexiness, Kate laughed: "Honestly, just respecting the occasion, there is no competition. 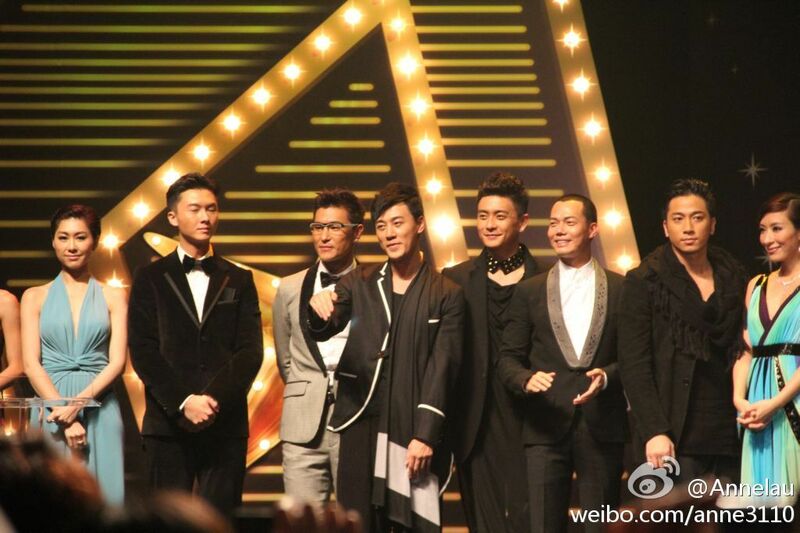 This series got such good ratings, I hope there will be more breakthroughs! 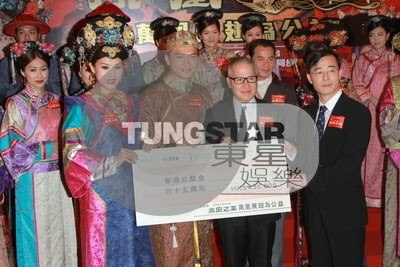 I heard Nelson Leung will be treating us all a meal later, and I also hope to team up with Maggie, Ron and the others to treat the crew a meal too." 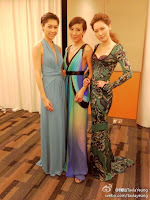 Aimee and Nancy were both dressed in see-through dresses, like a pair of twins. Nancy expressed they didn't set this up and suggested that TVB should make arrangements for the two to be twins next time. As Nancy had a bloody murder in the series, Nancy surprisingly said: "I thought it wasn't bloody enough, the cross-blooded scar could be even more intense. However, just now when I saw some of the clips, it really felt bitter." Producer Miu Siu Ching expressed she does not know about shooting part 4 to the Forensic Heroes series, but the series has already left a hook line, so if there will be a part 4, will have to see the audience responses. Asked if this implies she will no longer leave TVB? She said: "I'll think about it! The series had such good response." That night at the FH3 finale gathering, Ron Ng was fortunate enough to win a brand name watch, but he generously declined to accept and was willing to put it back in for the raffle. Results, Ram Chiang won the watch instead. During the interview, Ron supported the idea that he, Kate and the other leads should treat the entire crew a meal to celebrate. Earlier, Wayne Lai already took the lead in treating the meal, but Ron is more than willing to provide his support on the side. 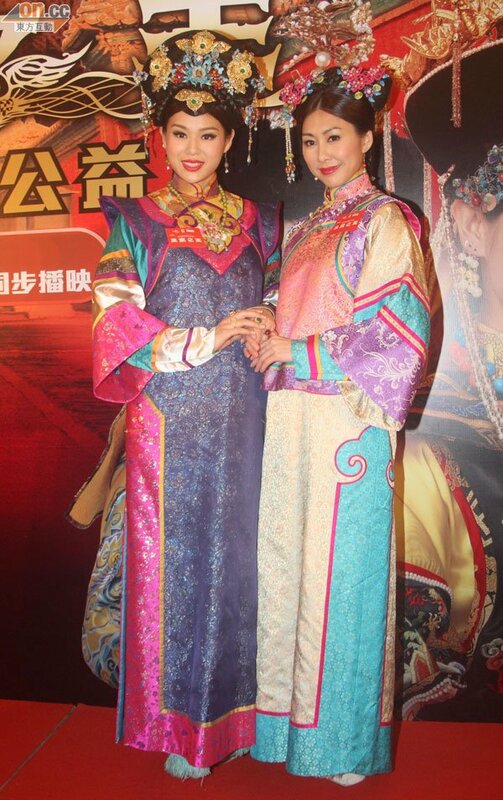 It was said because Fala Chen fell ill that she had to withdraw from new series The Prominent Family. As one of the cast members, Ron frankly said he just found out about the news: "Initially I was suppose to be involved in a love triangle with Kenneth Ma and Fala, but now I'm not sure who will replace. This series will start on December 8th, not sure if the schedule will be postponed or not, but I do hope Fala recovers soon and that she takes advantage of this time for a little break!" 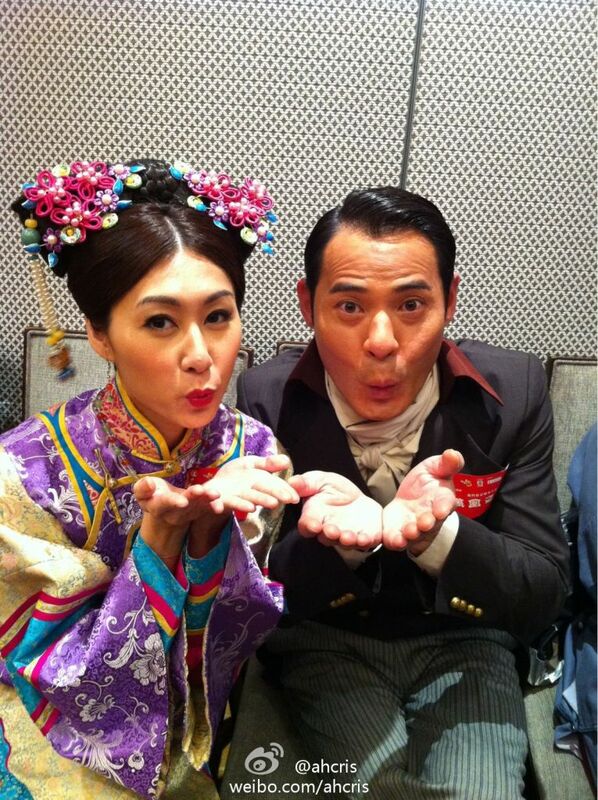 Nancy Wu and Kenneth Ma have been rumored for several years now. Last year it was said they broke up, but yesterday a magazine reported again that Nancy is working hard trying to patch things up. It was rumored she asked TVB to give her the chance to go work in New Zealand with Kenneth, so she can patch things up while at work. 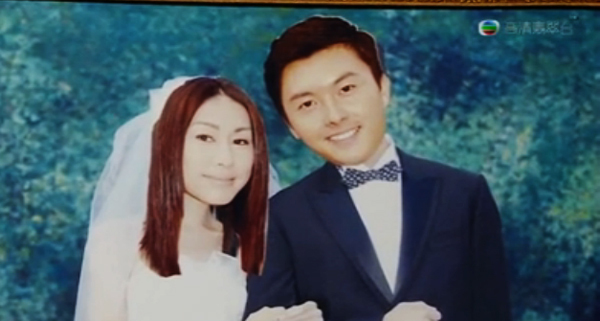 Also, she passed the 'mother-in-law' test and successfully got back together with Kenneth. Yesterday Nancy denied the rumor and stressed she has only been good friends with Kenneth all along. They have never dated before. Regarding the trip this month to New Zealand with Kenneth, as guest performers for the Miss Chinese International Pageant, Nancy was said to be taking the opportunity to patch up her relationship. She laughed and said she doesn't have the ability to ask TVB to do anything. This time, her trip to New Zealand is entirely arranged by TVB. She stressed she never dated Kenneth and has always been good friends, so she sees this report as a joke. However, Nancy welcomes anyone to give her and Kenneth jobs, they can earn money together as an on-screen couple. As if there is a chance to develop a relationship with Kenneth? She said Kenneth is a very good man, but it is all about fate. Who needs a diamond ring to propose? :P Carson's proposal is the sweetest! Not too mention he can cook! !